The ACVO/StokesRx National Service Animal Eye Exam is a philanthropic event that provides free, ocular screening eye exams to qualified Service and Working Animals. 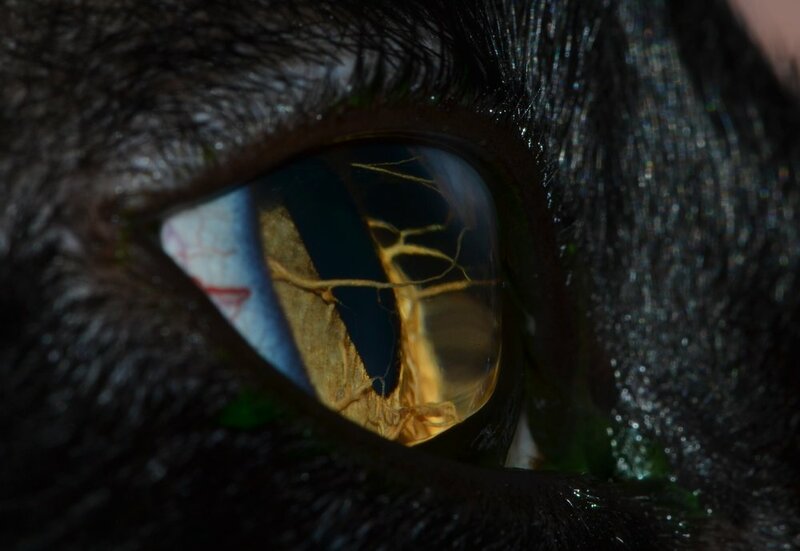 These exams are provided by those members of the American College of Veterinary Ophthalmologists who choose to participate and volunteer their time and resources. Annually, registration takes place the month of April and the exams take place the month of May. In ten years our ophthalmologists have donated over 60,000 exams! Thanks to Stokes Pharmacy for their amazing sponsor support for this program, and the incredible sponsor support of many more groups and non-profits each year. The purpose of the OFA CAER examinations is to provide breeders with information regarding canine eye diseases so that they may make informed breeding decisions in an effort to produce healthier dogs. ACVO Diplomates work with OFA leadership to review genetic data and annually update breeding recommendations for publication in the 'Blue Book'. CAER examinations must be performed by board certified veterinary ophthalmologists of the ACVO. Use the 'Help My Pet's Eyes' button above to locate a participatig doctor.